October 30th, 2014 | Lifestyle. When you do an initial walk-through of a house, you’ll ask about the plumbing, the utility costs, and any previous damage. But you probably wouldn’t even think to ask if the home has any “permanent” inhabitants. Although homeowners are required to disclose information about the home’s physical condition, they also have to reveal if there have been any murders or suicides in the home. However, when it comes to paranormal activity, the law is a bit vague. 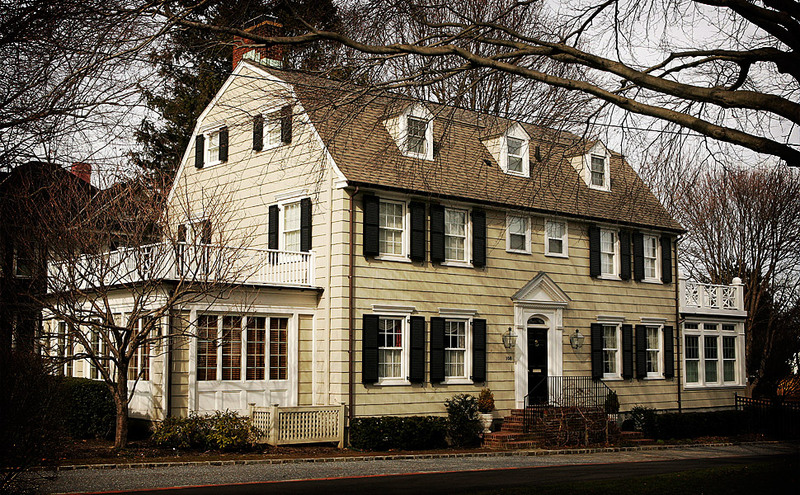 If the home has been declared “haunted” by a government organization, then the owner must disclose that information. However, if there has never been an official record of ghostly visitations, the homeowners can stay tight-lipped about their apparition guests. Would you live in a haunted house? Would you host spooky parties and séances for your friends, or would you run screaming from an unfriendly ghost? We searched high and low for famous haunted houses in the U.S. to find out how ghosts have treated the houses’ inhabitants. Judge for yourself if the haunted lifestyle is for you. Joshua Ward was a wealthy sea captain turned merchant who built his home in 1784. Unfortunately, he chose the site of George Corwin’s house and jail. George Corwin served as sheriff during the infamous Salem witch trials. He personally interrogated and sentenced to death dozens of suspected witches. His methods were sadistic: he tortured and killed his suspects to elicit confessions. Corwin’s home was eventually torn down and replaced with Joshua Ward’s. According to some accounts, victims of Corwin’s cruelty have been seen roaming the halls. Some have seen an older male ghost believed to be Corwin. Today, the home is a commercial building for small businesses in the Salem area. Six members of the DeFeo family were found brutally murdered in their home in 1974. The oldest son, Ronald DeFeo, Jr., was found guilty of shooting and killing his parents and four siblings. Eighteen months later, George and Kathleen Lutz moved into the property. They stayed only 28 days. The Lutz family reported unexplained noises, strange sensations of “being embraced,” and apparitions of a demon-like pig creature with fiery red eyes. 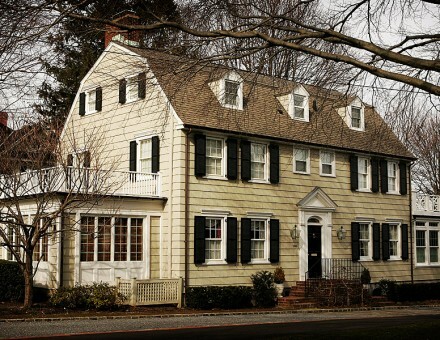 Their story inspired the novel “The Amityville Horror,” which has also been made into a feature-length film. Today, the home is still a residential property. It was sold in August 2010 for $950,000. On June 10, 1912, the six members of the Moore family and two young overnight guests were bludgeoned to death. The weapon was discovered to be an ax, but the murderer (or murderers) were never found. No one knows why the Moore family was targeted. Over time, visitors to the house reported hearing children’s crying voices, seeing a door that opens and closes mysteriously, and feeling wandering spirits. 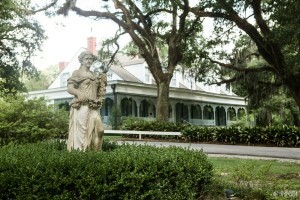 In 1994, the home was purchased by Darwin Linn and renovated as a museum. 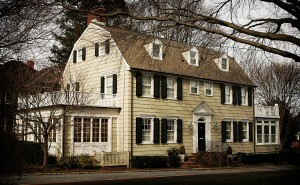 In 1998, the Moore home was added to the National Register of Historic Places. Today, it still stands as a museum that offers daylight and overnight tours to brave visitors. The Lemp family immigrated to Missouri in 1838. In the 1860s, they started a successful brewery and built the Lemp mansion for the family. The family may have been quite wealthy, but they had a pattern of unhappiness-four family members of different generations committed suicide. In the early 1900s, Charles Lemp had a son with Down syndrome who was a product of an affair. The boy was confined to the attic and died at about age 40. His father killed his dog and himself soon after. In 1975, the mansion was restored to its former glory after many years of disrepair. During the renovations, contractors reported feelings of being watched by invisible spirits. According to visitors, the spirits seemed to approve of the work being done. Today, the Lemp Mansion is an inn and restaurant. The employees and guests alike have seen and heard paranormal experiences, including mysterious piano playing, self-stirring drinks, and the sound of a dog panting and clicking his nails on the floorboards. The Myrtles Plantation was constructed in 1796 by General Bradford, who came to Louisiana to escape persecution for his role in the Whiskey Rebellion. Legend has it that Chloe, a French governess to Bradford’s grandchildren, had an affair with Bradford’s son-in-law, Judge Woodruff. Woodruff punished Chloe for listening in on a business meeting by cutting off her ear. She retaliated by poisoning a cake for his eldest daughter’s birthday. The poison killed Woodruff’s wife and two daughters. Today, the mansion functions as a bed and breakfast inn. Visitors frequently have paranormal experiences. Some report the presence of a green-turbaned black woman, thought to be Chloe. She wakes guests by lifting the mosquito netting around a bed and staring intently. Others say they have seen the specters of two little blonde girls peeking through the windows. Still not sure if you would live in a haunted house? Be sure to ask the realtor about the history of the home before you make a final offer. For more tips and tricks about home buying and moving, check out our other blog posts.